Georgia is so tiny and hides so many surprises and attractions that it could share them with a way larger country. And... ironically, it's totally unknown. Most of people confuse this little nation at the crossroads of Asia and Europe with the state having the same name in the US. In Georgia, you can see amazing, unique and so different cities - Tbilisi and Batumi. Tbilisi, the country's capital boasts beautiful, charming architecture with its wooden balconies hanging over the cliffs; ancient fortresses and churches. 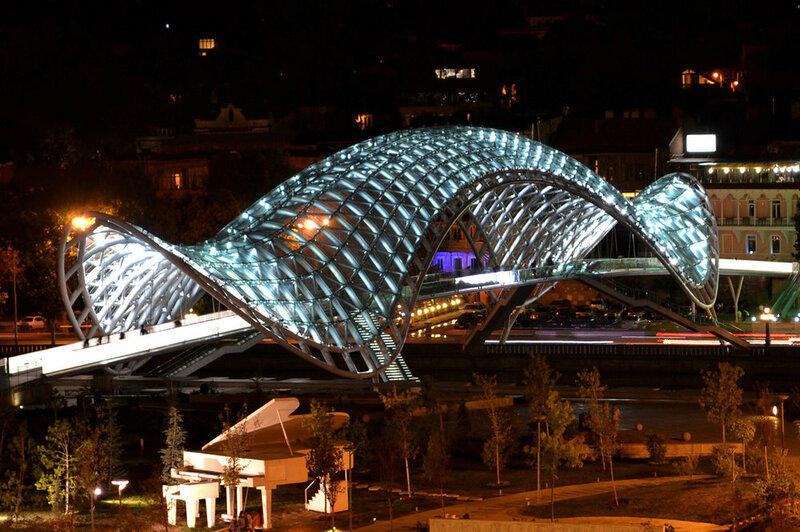 Among its monuments, Tbilisi also has the modern touch - especially the beautiful, illuminated Brigde of Peace. Batumi, the seaside town has more extravagant, ultra-modern architecture and is probably the most illuminated town at night that I have ever seen. Don't miss the ancient cave cities in Georgia - dwellings carved out of rock dating back to the 5th millennium BC. They resemble the famous Capadoccia region in Turkey but it's highly unlikely that you'll see any other tourists except you. Even driving through Georgia is an attraction in itself. Within 200 miles, the landscape changes from dry desert and gargantuan canyons to the forested mountains, snowy peaks and finally turned into the subtropical seaside area full of palm and banana trees. Vardzia - the monastery dating back to the twelfth century AD, located on the banks of the river Mtkvari is one of the most important historical sites in Georgia. Similar to the cave towns that can be found in Goreme region, Turkey, however this one is even bigger, carved out of the entire wall of the cliff, with beautifully decorated church. The location, in the middle of a huge gorge, offers unforgettable views. Until this day, some monks still live in those caves. Sometimes life is unfair and we are unlucky. The same thing could be said about the Caucasus region which has just about anything to become another great tourist destination, however it is so little known in the world. Such diversity of landscapes and architecture packed in such a small area is usually not very common. The country of Georgia with its cities Tbilisi and Batumi seems to be the perfect example. These cities are so close to each other but they are completely different. Caucasus region is still rarely visited by tourists and backpackers. Maybe this is what makes it special, it's a place that is easily accessible, not far from Europe but seems very different and full of surprises wherever you go - it was the most surprising and nicest airport welcome I have ever encountered while entering a new country. Is Georgia (a country in Caucasus) safe and worth visiting? Georgia is a country which can boast very rich (and difficult) history, breathtaking landscapes and really original cities. This little country, located right in the center among the biggest powers on earth, has always been invaded from all directions. Few people in the West know about it. When you say "Georgia", they think you are talking about the state in the US. And those who know probably wouldn't visit it either. This is apparently because of the media coverage showing only war and poverty. 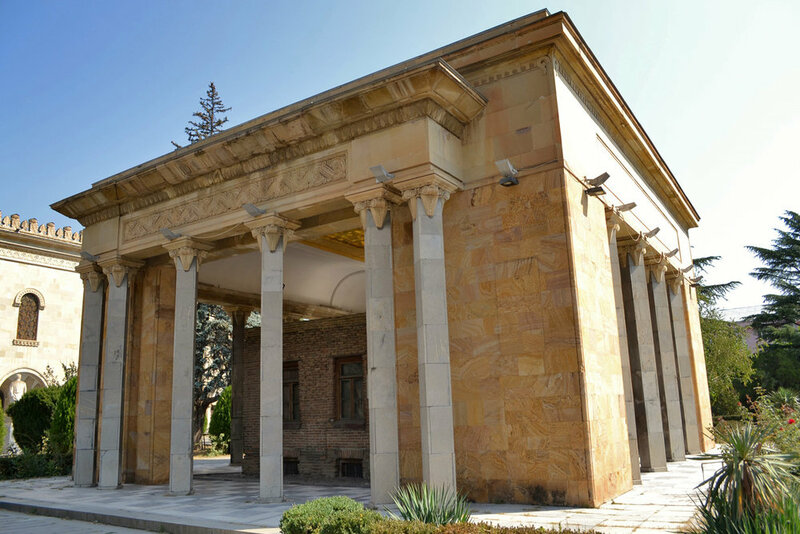 But the war is over now, let's leave the politics aside and have a look at this forgotten place, a hidden jewel located on the crossroads between Europe and Asia.